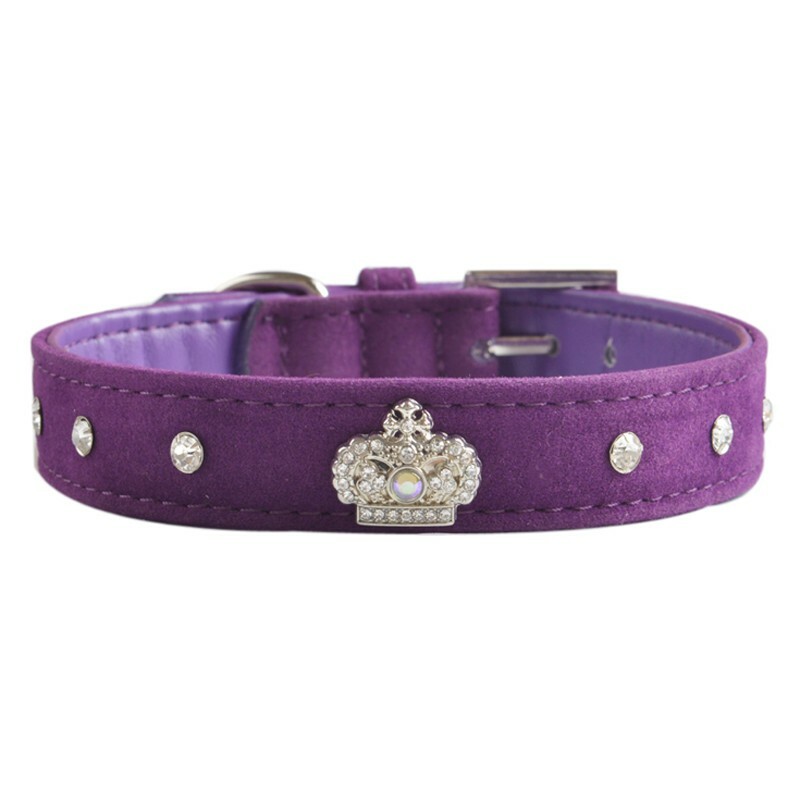 Adorn your posh princess in regal style with this gorgeous Royal Crown Velvet Leather Rhinestone Dog Collar. 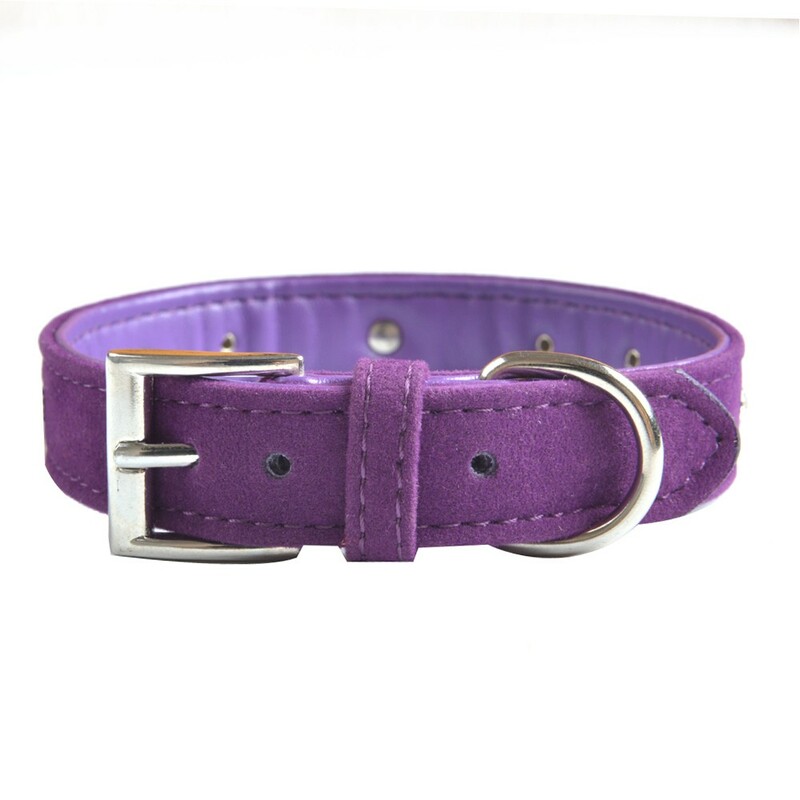 This beautiful collar is handcrafted using premium-quality, durable leather and rhinestones. A gorgeous plush velvet overlay adds a trendy feminine flair to this stylish design. 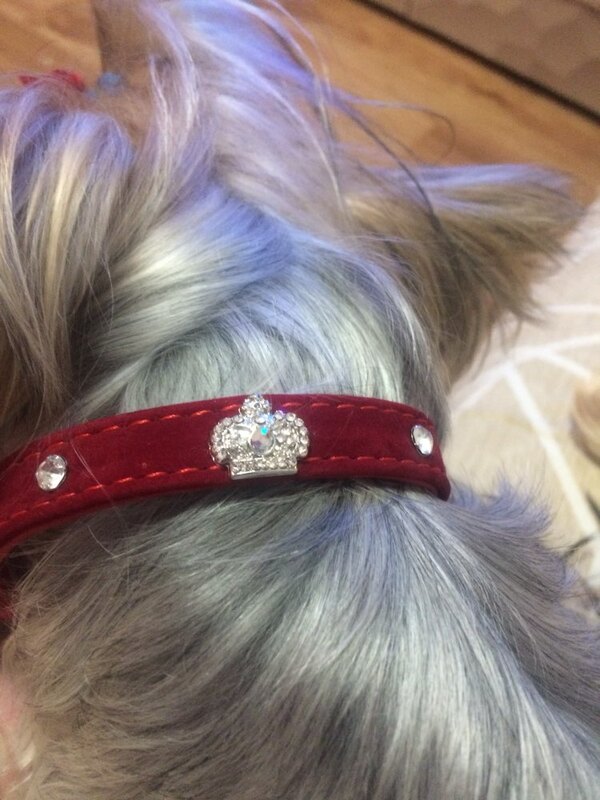 The large crystal crown charm adds the finishing touch to this exceptional collar that will add a flash of sparkle to your dog's day. Stylish. Gorgeous collar is handcrafted from premium-quality leather. Soft velvet overlay captures the cozy feel of a winter's day. Pristine crystal crown charm completes this chic, royal-inspired look. Easily adds instant elegance to any special occasion. 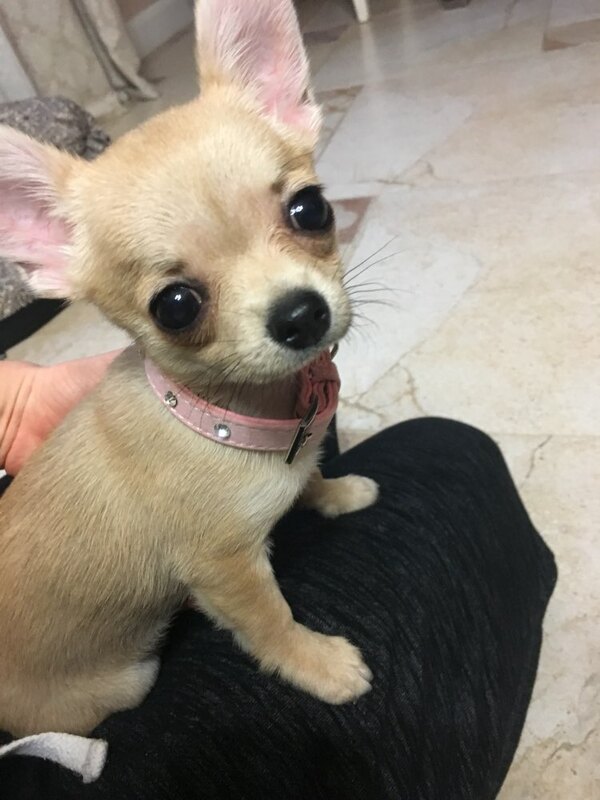 Made to last through all your pup's adventures. The heavy-duty buckle and D-ring adds strength and durability. Fits most dogs. 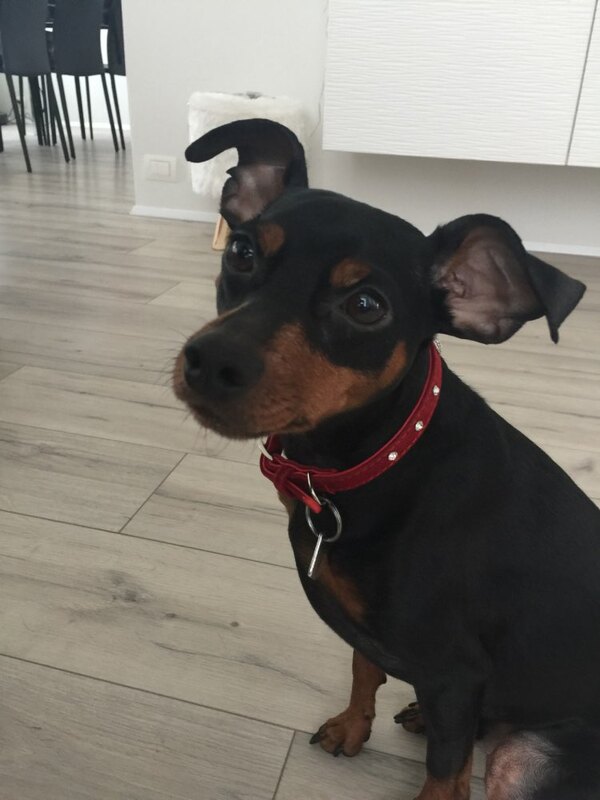 Adjustable collar is available in a variety of lengths to fit most dogs.